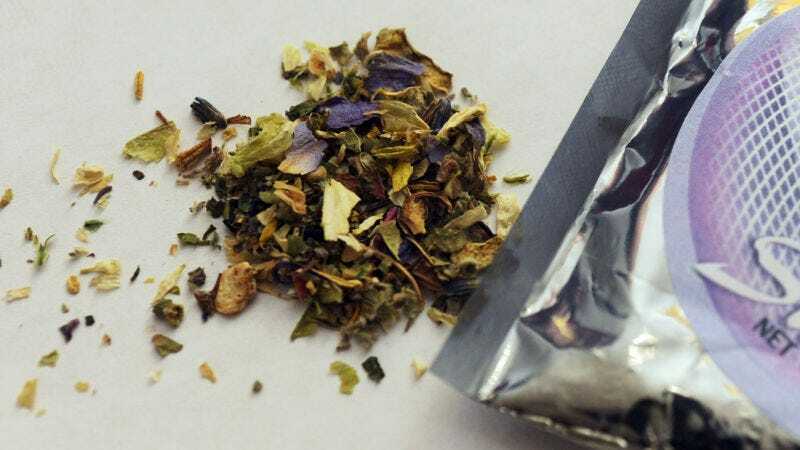 Cases of synthetic cannabinoid-associated coagulopathy have been spotted in five states now, with three reported deaths. An outbreak of severe bleeding linked to tainted synthetic weed products continues to worsen. Illinois health officials reported this week that a third person has died soon after taking the drugs. As of Tuesday, there have been 114 reported cases of what’s now being called “synthetic cannabinoid-associated coagulopathy” within the state. Symptoms have included bleeding from the eyes, ears, and gums, especially heavy bleeding during a period for women, and coughing or urinating blood. The earlier two deaths involved men in their 20s, while the latest victim was a man in his 40s. The working theory is that these products, sold under names such as K2 and Spice, have been laced with rat poison. Several patients in Illinois have tested positive for brodifacoum, the main ingredient of many rodenticides. Brodifacoum blocks the effects of vitamin K in the body, including our ability to properly clot blood. Its potency is so well known that it’s often referred as “super-warfarin”—an allusion to the common blood thinner. At this point, though, it’s still not known how or why these products have rat poison in them. Synthetic weed products operate in murky legal territory. They’re sold as smokable herbs that are sprayed with chemicals meant to legally mimic the high of traditional marijuana, or as mixtures that can be vaped. But the exact formula of these products is often a mystery, as drug manufacturers scramble to avoid bans on specific ingredients passed by states or the federal government. And while the recent outbreak is the first time that bleeding has ever been associated with synthetic weed use, these products are already known to cause temporary psychosis, hallucinations, and sometimes death. Illinois has been the epicenter of the outbreak, though health officials elsewhere have begun to alert doctors, hospitals, and coroners to keep an eye out for cases. According to an outbreak alert released by the Centers for Disease Control and Prevention, at least four other states—Indiana, Maryland, Missouri, and Wisconsin—have seen a combined five patients visit an emergency room with similar symptoms as of last week. The CDC has also sent a team to work together with the IDPH, while police are conducting their own separate investigations.